Knowing the right questions to ask at a nonprofit board meeting is a critical part of a board member’s responsibility. Following is a list that, as a nonprofit director, I want to keep handy at meetings. 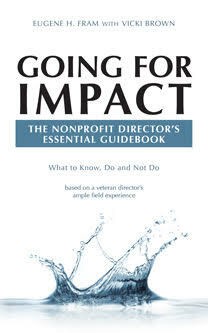 * I also will suggest why I think each is important in the nonprofit environment. Compliance and overviewing management alone do not guarantee success. What is our organization’s 10-to-15 year dream? : Not a question frequently asked, but needed to fashion strategies in the intervening period. Traditionally board and management feel that such dreams don’t have practical applications. They do if passed to future generations of boards and managers. To foster continuing discussion, a good idea is to initiate a simple process, which is implemented every few years, to determine whether or not these “dreams” are still relevant and being accepted by board and staff. What are the key priorities we need to focus on in the next three to five years? : Needed as a motivation to asses the impact of strategic planning. Too often operational issues instead of strategic items dominate meeting agendas. What are the key metrics or key performance indicators we will use to measure our progress? Both quantitative (e.g., financial, clients served) and qualitative (e.g., advocacy, community impact) need to be addressed.Qualitative impacts are much move difficult to access, and often they are not developed for the annual review. What kind of cash flow do we need to sustain and grow our organization? : A key indicator for both for-profit and nonprofit organizations. The importance of strong cash flow is encompassed in the adage “cash is king.” Having cash puts the nonprofit in a more stable position with better buying power. While the nonprofit can borrow money at times, cash affords the organization greater protection against loan defaults or foreclosures. Cash flow is distinct from cash position. Having cash on hand is critical, but cash flow indicates an ongoing ability to generate and use cash. Nonprofits that include in-kind donations in their revenue streams have an obligation to separate cash vs. in-kind income for financial analysis. and annual reports to stakeholders. All of these questions need to be reviewed annually, but in my experiences they rarely surface in board discussions. ← Nonprofit & Business Directors Must Be Vigilant – Board Liability Costs Could Be $2.2 Million!